Indian rower Dattu Baban Bhokanal finished fourth in the quarter-finals of the men's single sculls to be out of medal reckoning in the Rio Olympic Games on 9 August. Bhokanal clocked 6:59.89 to cover a distance of 2000m, little more than six seconds behind the third and last qualifier from the quarterfinal 4, Natan Wegrzycki-Szymczyk (6:53.52) from Poland. Croatia's Damir Martin, the London Olympics silver medallist, won the quarterfinal with a far superior timing of 6:44.44, ahead of second-placed Alan Campbell (6:49.41). Armyman Bhokanal, whose ailing mother is an Intensive Care Unit of a hospital in India, had clocked 7:21.67s in the Heats. He commenced strongly and was second going past the 500 metre mark but then gradually slowed down to lose his chance of advancing. 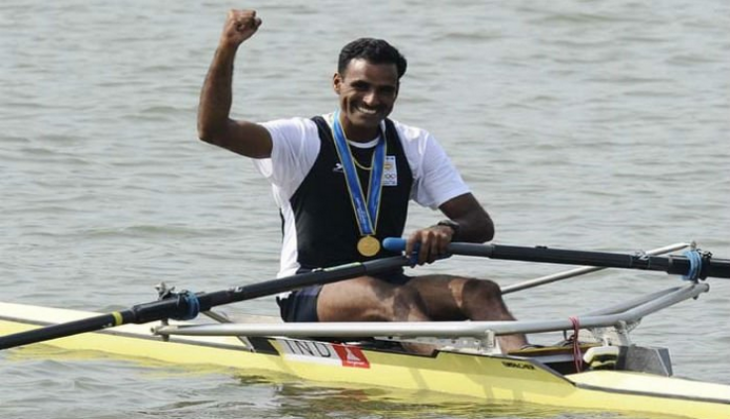 Bhokanal, the lone rower in fray from India, will now have to fight for the minor placings.